Yesterday the UK government announced how it might (everything was in draft) put import taxes on some goods entering the British market from the Republic and continental Europe in the event of a no-deal Brexit. The starkness of the detail and the hard numbers brought home what is looming. In just 15 days the UK is scheduled to leave the EU. Those who would be most affected by these new import taxes – farmers and food producers – reacted in almost apocalyptic terms, and not without good reason. London’s other big announcement yesterday – a commitment not to police the northern side of the Border on this island for a year after a no-deal Brexit – highlighted the very uncomfortable position Dublin is in. If the Irish Government was to announce now that it would not police the southern side of the Border it would be telling its 26 EU partner countries that it was not prepared to meet its obligations to them (goods entering the EU from non-member countries have to be checked to ensure they meet the bloc’s product standard laws and have relevant import taxes paid). When Ireland has had so much support in Brexit negotiations from other EU countries, and will need more support in the days to come, an explicit rejection of those obligations was impossible. As such, the Government did not match what its British counterpart put on the table yesterday by ruling out changes to the southern side of the Border. Much of these trade technicalities and rules around how borders operate are so complicated that they make people’s heads hurt. The blizzard of Brexit and backstop news has already caused heads to spin for many months. In an effort to see the wood from the trees, it might be worth a brief recap on where we are now before considering what could unfold in the days ahead. The Brexit backstop put on the table by the Irish and EU sides 16 months ago was a dramatic demand. It always ran the risk of triggering a no-deal Brexit. It will take something big to happen in the coming days if that outcome is to be prevented; and it is imperative that everyone be clear about this: a no-deal Brexit is by far the worst outcome for both sides of the Border on this island. After the second huge rejection of the backstop by the British parliament on Tuesday, the already minuscule chance of the British swallowing it has diminished further. As anyone who has glanced at a newspaper in recent times knows, the political situation in London has gone from chaotic to utterly bonkers. Last night’s vote in the House of Commons to reject a no-deal Brexit means little. The current (and unchanged) position in both EU and British law is that Brexit will happen in 15 days because that is when Britain’s membership expires. Something big will have to change to prevent it. There now appear to be three possible ways to avoid no deal: the British parliament backs the deal it has twice rejected; some sort of extension to the March 29 deadline is agreed by the 28 countries involved; or Ireland backs down on the backstop. Theresa May, the British prime minister, is likely to ask the EU to extend the deadline to leave very soon. If this is granted she could ask the House of Commons for a third time to accept her withdrawal deal. If that happens it is very likely that more Brexiteers would switch sides out of fear that Brexit might never happen otherwise. But it is very difficult to see all those MPs who have opposed the backstop on the (valid) grounds that it will have constitutional implications for the United Kingdom as a whole, including those of the DUP, reversing their position. As such, there is almost no chance of Britain leaving on March 29 on the terms Theresa May has agreed with the EU. What about an extension? This will be the big issue over the next few days, and it offers the only real hope of avoiding massive disruption at the end of the month. But it is far from a foregone conclusion. I am writing this from Brussels. To say that there is intense frustration with the degree to which Brexit has absorbed the time and energies of so many people over such a long period of time does not begin to describe it. As such, it cannot be taken for granted that the 27 remaining members of the EU will agree unanimously on a postponement – and they need unanimity to make that happen. Many questions have been asked about the logic of extension. What is the purpose of prolonging the agony, some ponder, usually rhetorically? Others ask whether a short extension would give insufficient time for the British to decide on an achievable course, particularly given that they have failed to do so over nearly three years? 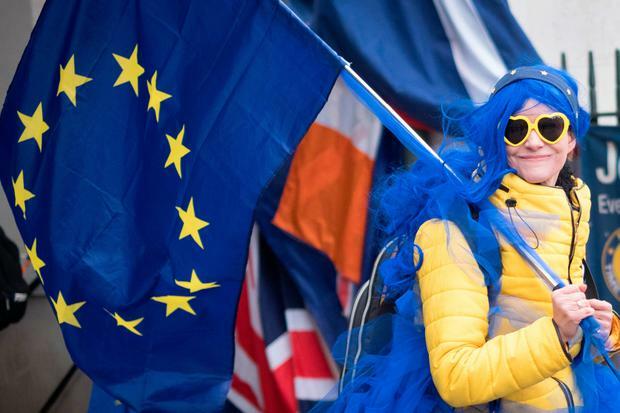 Will the British refuse any extension that involves them having to hold elections for the European Parliament at the end of May, as it appears they would have to do if they were still in the EU? These questions are likely to dominate the news over the coming week. Things should come to a head when the Taoiseach and his EU counterparts meet in Brussels in seven days’ time. Hopefully, an extension will be agreed – the British political system might be brought to its senses as the cliff edge approaches. But if that does not happen we need to be clear about the choice facing this country. It could be that the only way to avoid the worst-case scenario is to take the backstop off the table. If that is where things end up, this column will be examining the matter in seven days’ time.